Man, there has been a ton of entertainment news hitting the Internet this week. 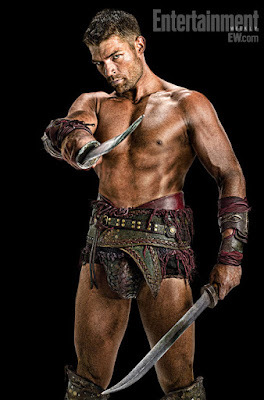 Entertainment Weekly released promo pics of Liam McIntyre as Spartacus. At first sight, McIntyre seems to fill the role nicely. He has the look and build that will hopefully lead to a pretty smooth transition from Andy Whitfield. Unfortunately, the action shots that can be found at EW's website are not as convincing (the first one made me think of Ryan Phillippe), but I'm willing to withhold judgement until the show actually debuts.